From earliest days the followers of Jesus gathered on the first day of the week to worship God. Sunday worship constitutes one of the main characteristics of Christian worship and has in ways placed it in contrast to the Jewish practice of Sabbath observance. This fact has given rise to a number of studies on the phenomenon. At the heart of the issue is the relationship of Jesus and his followers to Jewish law. In the Gospels the opponents of Jesus regularly accuse him of violating the Sabbath. These incidences provide evidence for an ongoing debate in the early church regarding Sabbath observance. But the key question in the Gospels and in the early church is not what day is the Sabbath? Or when does Sabbath begin? But what constitutes work? What activities are precluded? What activities should be promoted? Despite his opponents’ objections, Jesus does not abrogate the Sabbath nor teach his disciples to do so. Rather he can be found in the synagogue on the Sabbath taking part in its worship (Mark 1:21; Mark 3:1ff; Luke 4:16-31). Indeed Jesus endorses the Sabbath, but he rehabilitates it from the day of idleness it had become for the purveyors of tradition to a day to serve the needs of people and extend mercy (e.g., Mark 3:1ff; Luke 13:10-17; John 5:1-18; John 9). The Jewish followers of Jesus continue to keep the Sabbath. The women for example charged with burying him rest on the Sabbath and plan to finish the work on the first day of the week (Luke 23:54-46). On his so-called Gentile mission Paul attends synagogue services on the Sabbath in Antioch Pisidia (Acts 13:13-44). In Philippi Paul and Timothy find a place of prayer on the Sabbath (Acts 16:13). Over many Sabbaths Paul preaches the gospel in synagogues in Thessalonica and Corinth (Acts 17:1; 18:1-4). Paul’s instruction to the Colossian Gentile believers that no one should judge in matters of food or drink or in regard to a festival or new moon or Sabbaths (Col 2:16) must be read against the backdrop of the Judaizing threat. Apparently, Paul expected Jewish believers to continue observing the Law, but he did not want that thrust on non-Jews. In fact, Sabbath Law was part of God’s covenant with Israel at Sinai and Gentiles were not obligated to keep all those demands. In addition to observing the Sabbath, the earliest followers of Jesus met daily in homes and the Temple (Acts 2:46; 5:42). Gatherings on “the first day of the week” gained prominence in the early church. Acts 20:7-12 describes Paul’s farewell address in Troas on the first day of the week as they were gathered to break bread. In 1 Cor 16:2 Paul urges the disciples to take a collection on the first day of the week for the saints in Jerusalem. Other than references to “the first day” no other day of the week is associated with Christian gatherings. But the phrase “the first day of the week” is an entirely Jewish way of reckoning and soon a distinctively Christian phrase emerges. John, during his exile to the Isle of Patmos, describes his vision while he was in the Spirit on “the Lord’s Day.” The “Lord” here no doubt refers to Jesus who along with God may also be called “Lord” (Rom 10:9-13; 1 Cor 8:6). The Teaching of the Twelve Apostles (Did. 14.1-3) prescribes that the church gather on the Lord’s Day to break bread and give thanks, but only after they had first confessed their transgressions. This would ensure that their “sacrifice” (qusi,a) be pure. It goes on to instruct that no one who has a dispute should join the assembly until first being reconciled so that the “sacrifice” (qusi,a) of the congregation may not be defiled. Clearly the language of gathering, breaking bread, giving thanks, confession and sacrifice implies that the Lord’s Day is a day set aside for worship. The appropriation of Mal 1:11, 14 by the author of Didache appears to support this conclusion. In Malachi God condemns the empty, blemished sacrifice in the temple in favor of incense and pure offerings brought in his name because God is clearly concerned that his name be honored and reverenced in the world. In Barnabas (15.1-9) the author portrays the Sabbath commandment in eschatological categories. The six days represent six thousand years God intends to bring to an end. The seventh day signifies the coming of the Son to judge the ungodly and create the new order. The author interprets Isa 1:13 to say that present practice of Sabbath law is no longer acceptable. What is acceptable is the Sabbath God himself has made which sets all things at rest. Barnabas, speaking as a prophet, describes the day of worship as “the eighth day” which represents the beginning of another world (av,llou ko,smou avrch,n). The eighth day is kept for rejoicing since that was the day Jesus rose from the dead, and following his manifestation, ascended into heaven. Pliny (Letters 96, 97) reports that on a fixed day Christians come together before daylight to sing a hymn to Christ as God, to swear oaths not to commit immoral acts and to partake of food together. Although he does not say which day they gather, it is likely “the fixed day” refers to Sunday. In his First Apology (67) Justin describes the substance of Christian worship. He testifies that on Sunday the community gathers in one place and someone reads the memoirs of the apostles and the prophets as long as time allows. Then, the president of the assembly exhorts the faithful to imitate the good things they have just heard. After the assembly rises and prays, bread, water and wine are brought forward. The president offers prayers and thanksgivings in accordance with his ability to which the people respond, “Amen.” The elements are distributed, thanks are offered, and those present participate in the elements. Afterward the deacons take a portion to those who were absent. Justin explains that the day of the Sun is the time for their common assembly because (1) it was the first day of God’s creation, (2) it was the day of Jesus’ resurrection and (3) it was the day Jesus appeared to his disciples and taught them. The evidence is clear. 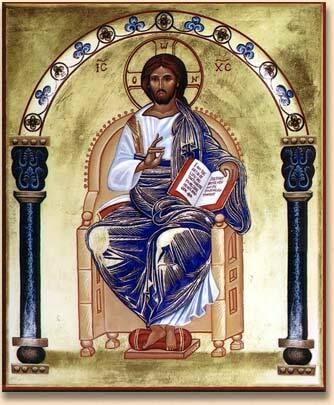 Early Christians set the first day of the week, the Lord’s Day, aside for gathering and worship. Although all the motivating factors may not be evident, it is likely that the disciples’ experience of Jesus’ resurrection on the first day became the prime factor. While early Christians expected to participate in a general resurrection at the end of the age (e.g., 1 Cor 15:20-28; John 11:21-27), the unique event of Jesus’ resurrection could not be imitated (mimesis). Nevertheless, it could be commemorated (anamnesis) in the corporate worship of the church. According to the Gospels, the followers of Jesus experience the resurrection of their Master through a variety of resurrection appearances. For the most part the Gospel accounts place these on “the first day of the week.” On the first day of the week Mary Magdalene and others see the angel of the Lord at the empty tomb and meet the resurrected Jesus on the way to meet the disciples (Matt 28:1-10; cf. Luke 24: 1-11; cf. John 20:1-10). Later the same day Jesus appeared to the gathered disciples and showed them the wounds in his body (John 20:19-23). Eight days later, another reference to “the first day” of the week, Jesus appeared to the disciples and Thomas who had been absent during Jesus’ previous manifestation (John 20:26-29). It may well be that the resurrection appearances and presence of Jesus with the church on the first day of the week provided the impetus toward the church’s gathering on the first day. Given the fact that early Christian gatherings typically included a meal, the Christian selection of Sunday likely arose from post resurrection appearances when Jesus ate with his disciples. Specifically Luke’s account of Jesus’ appearance to two disciples on the road to Emmaus on Sunday provides important evidence. Therein Jesus draws near to two disciples and walks with them in a hidden way (24:13-16). The disciples recount the mystery of the events which have taken place among them, narrating the crucifixion and resurrection of Jesus (24:17-24). Still unrecognized, the risen Christ interprets Moses, the prophets and all the scriptures in light of the recent events regarding the suffering and glory of the Messiah (24:25-27). In the final act the two disciples invite him to table where Jesus proceeds to take the bread, break it, bless it and give it to them. Jesus was made known to them in the breaking of the bread (24: 28-35). As the two report this to the other disciples on apparently the same day ( = the first day of the week), Jesus again appears, this time to a larger group of disciples, revealing himself, eating, and opening their minds to how the scriptures speak regarding him (24: 36-49). As we have seen above, early Christian worship reflects the same elements, particularly the celebration of person and work of Christ, reading and interpretation of scripture and the participation in the breaking of bread. Sunday worship then in the early church appears to derive its form and function from Jesus’ resurrection appearances as they occur on the first day. That these occur primarily in homes may provide some rationale for house church gatherings. Nevertheless, the liturgical practices of the church resonate with the resurrection appearances of Christ. Though they could not be imitated, they could resound in worship and find a permanent place in the memory of the faithful as they are transformed into the image of Christ. In his account for the rise of Sunday observance Samuel Bacchiocchi argues that early Christians did not abrogate the Sabbath to make way for a new day of worship. His analysis leads him to the conclusion that the few references to “the first day” (Acts 20:7-12; 1 Cor 16:1-3) and “the Lord’s Day” (Rev 1:10) do not refer to regular days of gathering for the nascent community. First Corinthians 16:1-3 refers, he says, to a day set aside for a private fund-raising plan. Acts 20:7-12 refers to an extraordinary gathering to meet with Paul before his journey. The Lord’s day in Rev 1:10 refers to the day of judgment and the parousia, not a day set aside for Christian gathering. The triumph of Sunday in the Church calendar, according to Bacchiocchi, was the result of political and social factors. The rise of anti-Judaic sentiments and the devaluation of the Jewish heritage of the movement was the first factor. Pointing to the anti-Jewish statements made in Ignatius of Antioch, Barnabas of Alexandria and Justin of Rome, Bacchiocchi argues that these influential churchmen wanted to dissociate from the Jews and the clearest way to do that was to set aside Sabbath observance. In the East he notes that Jewish influences continue, but in the west anti-Jewish attitudes prevailed, particularly after the second Jewish war. To avoid all appearances of corroboration, Christians dropped Sabbath observance. Another factor significant in the forsaking of the Sabbath had to do with the prominence of Sun-cults in Rome in the second century AD. Early Christians, he reasoned, had no interest in worshipping the sun, but the practices of the sun cults caught the imagination of Christians who found clear associations with God as Creator of light and with Jesus as the Light of the world. In other words the sun cults provided an adequate symbolic world whereby Christians could associate Jesus with an already existant, vital cult. Bacchiocchi is correct in his conclusion that Sabbath observance continued a vital part of the piety of the early church, particularly among the Jews and possibly God-fearers. He is incorrect, however, to conclude that Sunday only rose in prominence during the second century and beyond. In fact the evidence already cited is sufficient to conclude that Jewish believers continued to observe the Sabbath and also began to worship on the first day of the week in commemoration of Jesus’ resurrection appearances among his first followers. The evidence is too substantial to explain away every case as unusual. Bacchiocchi’s analysis fails to account for the power of intense religious experiences to generate a whole new way of being. It is also significant to note that Sabbath observance continues well into the fourth century, even after the imperial decree by Constantine recognizing the day of the Sun as a day of rest on 7 March 321. The Apostolic Constitutions, an important church order from the last half of the fourth century AD, advocates keeping the Sabbath as a memorial to creation and celebrating Sunday because of the resurrection. Likewise at the beginning of the third century Tertullian (On Prayer 23) describes the Christian practice of kneeling on the Sabbath but standing on the Lord’s Day. The addition of Sunday to the weekly practice of devotion then must be seen as a result of the generative power of the first Christians’ experience of Jesus. As the Gospels indicate, on “the first day of the week” the risen Jesus appeared to his gathered disciples, ate with them and explained to them the scriptures. These “events” gave rise to the expectation that when they gathered the risen Jesus would be in their midst. In fact the Lord’s promise that where two or three gather in his name he is with them (Matt 18:20) may reflect this lively expectation. The anticipation that Jesus may appear again brought the disciples back week after week on the first day. Their practice of reading scripture and sharing a meal reflects what they did when the risen Jesus was present with them. These provide the foundation for what later in the church became the liturgy of the word and the liturgy of the eucharist. Sunday worship apparently originates in both its form and function from the memory of Jesus’ post-resurrection meal appearances on the first day. Samuele Bacchiocchi, From Sabbath to Sunday: A Historical Investigation of the Rise of Sunday Observance in Early Christianity (Rome: Pontifical Gregorian University Press, 1977); Roger T. Beckwith and Wilfrid Stott, This Is the Day: The Biblical Doctrine of the Christian Sunday in Its Jewish and Early Christian Setting (London: Marshall, Morgan & Scott, 1978); Paul K. Jewett, The Lord’s Day: A Theological Guide to the Christian Day of Worship (Grand Rapids: Eerdmans, 1971); Willy Rordorf, Sunday: The History of the Day of Rest and Worship in the Earliest Centuries of the Christian Church, trans. A. A. K. Graham (London: SCM Press, 1968). Bacchiocchi, 17-73; Beckwith and Stott. Oscar Cullmann, Early Christian Worship (Philadelphia: Westminster, 1953), 9-12; for ways in which the Jewish believers retained the Jewish calendar see C. F. D. Moule, Worship in the New Testament (London: Lutterworth Press, 1961), 15-16. David B. Capes, Old Testament Yahweh Texts in Paul’s Christology, WUNT 2/47 (Tubingen: Mohr Siebeck, 1992), 49-87. David Aune, “Worship, Early Christian,” ABD, 6:979. Cullmann, Early Christian Worship, 9-12. See also Paul Bradshaw, The Search for the Origins of Christian Worship (Oxford: University Press, 1991), 192-3. Codex Justinianus, 3.12.3 (321) in Documents of the Christian Church, trans. Henry Bettenson (New York: Oxford University Press, 1947), p. 27. Apostolic Constitutions 7.3. Translated by James Donaldson, ANF 7:469.